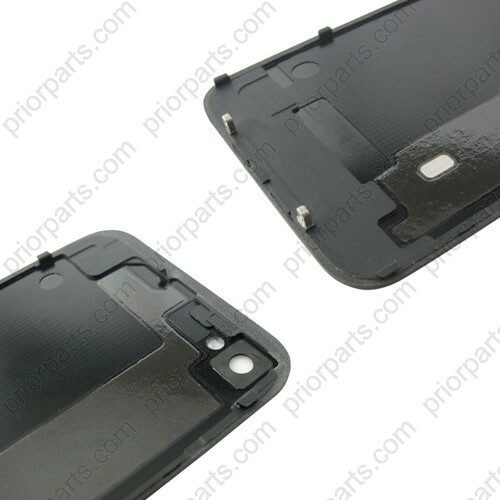 Good quality for iPhone 4 back cover Glass housing in black.For GSM version.White back cover housing is also available. 1.This is High quality Back Cover Glass Housing for iPhone 4 GSM Version,not OEM,but Quality is perfect as original.And it is only for GSM version,not for iphone 4S and CDMA. 2. the series number is 1332,not 1387. 3.The heat reducing sticker is attched and the buttom two fasten holes is made of stainless. 4.Application:For replacing your broken or scratched back housing.It is an easy job to install for iPhone 4 Back cover housing,you just uninstall the old back cover with a screw driver,and re-install the new back cover again. 5.Packing:In order to make the back cover shipped safely,we would put a faom cotton on the back to avoid the glass broken.Each one will be put in a bubble bag.Generally,5pcs/lot wraped with a rubber band.